I recently delivered a eulogy for my grandfather, who passed away at the age of 92. This is a slightly edited version, with most names removed to protect my relatives' privacy. Thank you all for coming today to help us remember and honor my grandfather, Doctor Fateh Singh Makkar. 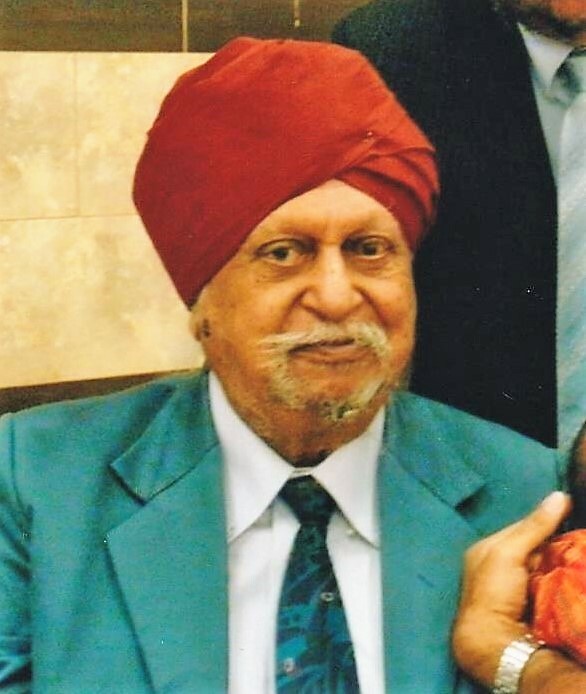 (We called him “Bhapaji.”) Bhapaji passed away in Ludhiana, Punjab last week at the age of 92; my parents were there to be with him in his last few days, as were my father’s sisters. It happened right around the 11th anniversary of the death of my grandmother Bhagwant Kaur, and they had come together in Ludhiana in part as part of the family's annual commemoration of her death. Bhapaji was a larger-than-life figure for us -- a big man with a huge personality, beloved by four generations in a large family with that is now mostly dispersed over northern India with a couple of branches here in the U.S. Today I'm going to talk for a couple of minutes about his life and give some details that help give a sense of who Bhapaji was with a somewhat historical, documentary angle (others today will speak more "from the heart"). 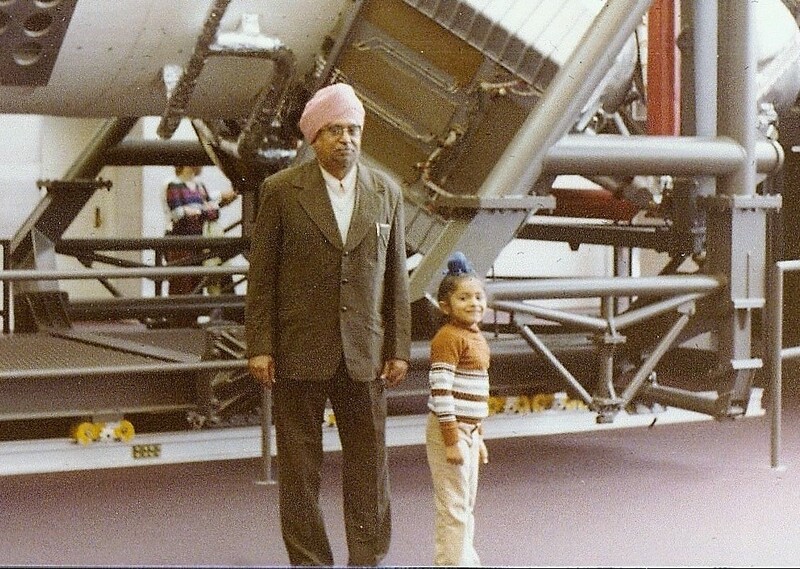 I think of people of Bhapaji's generation -- there are fewer and fewer of them with each passing year -- as a bridge in some ways to our collective history as people of South Asian descent. Bhapaji, born in 1924, lived through the last years of the British Raj, the Partition, and then essentially the whole of postcolonial Indian history up to this point. We don't, I don't think, pay enough attention to the lessons of that history. Like many Sikhs, our family history started in what is today Pakistan. Bhapaji was born and raised in a Muslim-majority village called Musakhel in a rural part of western Punjab; his own father was a kind of village doctor -- in Indian languages, a Hakim. I once asked him if he remembered anything about his own grandfather. He told me that he too was a hakim -- so the medical tradition goes back a long way in our family (my own father is a doctor). Bhapaji later moved to a village called "Chak Number 90," where my father was born. As much as that area of Punjab was home, politics interceded, and with Partition approaching it became abundantly clear that they couldn't stay. In 1947, the family migrated on foot from Pakistan into India, covering an astonishing 160 miles with a nine month old baby -- my father -- in their arms in the midst of terrible violence. After a brief time in a refugee camp, the family resettled in the town of Bharatpur, Rajasthan, where Bhapaji set up a medical practice and a dispensary. He soon became known and respected throughout the town. He was the head of the local Sikh Gurdwara society in Bharatpur, but he was so well respected by the local Hindu community that he was also elected head of the Bharatpur Punjabi Hindu temple. I felt that sense of importance when I would go to visit Bharatpur as a child. It's not an especially nice-looking town; there's an old Mughal fort there, but otherwise it's a forgettable place in the middle of the desert. But when we went there we felt like VIPs. My family had what felt like a huge compound there, with high walls and lots of rooms and pathways. (I haven't been back in many years, so it's possible that it seemed bigger to me as an eight year old than it actually was.) I was in awe of the cavernous main hall where we would play cards and chess for hours, and I was amazed at all the wild animals one would see in the streets and alleys of the town -- pigs, goats, dogs, cows. When we slept on cots on the roof during the hot summer months (no air-conditioning back then), we had to watch out for aggressive monkeys that came out at dawn to harass us poor humans. I was in awe, too, of Bhapaji’s antique shotgun, sometimes used for hunting game, though in the midst of the riots of 1984 Bhapaji had to fire it in the air to dispel a murderous mob that had gathered at the doors of the compound. It happened again: a place that felt like home suddenly didn't. The family was shocked by 1984 -- by the sense that neighbors could turn on them without warning -- and decided to move to Punjab for the greater sense of security and belonging. (My mother’s parents did something similar at that time after going through a similar experience, relocating from Delhi to Chandigarh.) Bhapaji and my father's brother settled in Ludhiana, where Chachaji opened up a medical practice of his own. Even as he seemed to remind us of our past, Bhapaji also enjoyed and embraced modernity -- whether it was modern medicine or modern technology. He enjoyed getting to know young people; I was always impressed by how good he was at sizing people up and debunking the kind of hot air and bloat that Indian men of a certain age are sometimes prone to. I remember one relative at a dinner once bragging about how many Crores of Rupees he was supposedly making in his factory; Bhapaji laughed it off: Bhaisaab, you must be confusing Lakhs for Crores. And when another relative seemed to get a little too carried away reminiscing about the Kulchas that are famous in Amritsar, he gently chided, "You should eat to live, friend; don't live to eat." Another sign of his modernity was his respect for women; Punjabi men of his generation tended to be intensely patriarchal. And yes, both of Bhapaji's sons became doctors, but one of his daughters too is a practicing doctor in Lucknow; another is a teacher (now retired). In the 1960s and 70s, it wasn't so common in traditional Punjabi households like ours for daughters to get post-graduate degrees. And more recently Bhapaji showed great respect for the women in the younger generation who are working professionals, including my wife and my brother's wife. Many of us in the room are getting older. Bhapaji taught us how to age gracefully and to enjoy life’s later years. He lived healthily in spite of longstanding issues with heart disease -- he had his first heart attack at age 57 and underwent what was then (this was 1982) a rather risky bypass operation. It worked; he went on to live well, by and large, for another 35 years. Even after becoming a widower a decade ago, he continued eating extremely carefully, doing yoga, and going for regular constitutional walks until just the last year of his life, when his health started to falter. That discipline is incredibly impressive. I think of my own struggles to eat healthy and exercise. Bhapaji didn’t need an app or a device to get him to be healthy. He just had the discipline and did it. Bhapaji was the last of my four grandparents. He was also the grandparent my brother and I knew best, in part because he spoke the best English of any of the four. That said, I had wished many times that my Punjabi was better so I could have experienced the full force of his legendary wit and humor. Bhapaji expressed the desire that my kids and my brother's kids grow up speaking better Punjabi than we did. We’ve been trying to honor that request. Near the end of his life, Bhapaji and my father went back to Musakhel in Pakistan -- the village he had left behind now more than 70 years ago. The village is still there; the house is still there, and the old folks in that village, remarkably, still remembered Bhapaji. 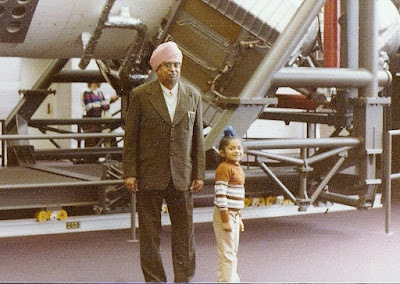 It was remarkable to my father on that trip to see how quickly Bhapaji could reconnect with old childhood friends he hadn't seen in so long; it says something pretty profound about Bhapaji's personality and how well he was loved. But I think it also tells us something about the way time can heal wounds. The bridge between two communities that was broken in 1947 can be mended; it wouldn't be that hard to do. And we can begin to move forward, together.